A powerlifter pumps away on a stationary bike for half and hour with the goal of shedding those extra fat pounds to stay in a lower weight class. Day after day, week after week he peddles, steps and jogs his way toward leanness. The trouble is, as he gets lean, not only does he lose some fat, but he loses muscle and strength. Aerobic training of any kind takes away from powerlifting training. The scientific research is conclusive. Aerobic training is not the answer for fat loss in power related sports. This goes against traditional thinking, but it's scientific fact. When it comes to fat loss for powerlifting, high intensity training (HIT), or what I call High Tension Training, beats out endurance training. In my opinion, a powerlifter should never perform pure aerobic training, even if they need to drop bodyfat. HIT is the answer to bodyfat loss and muscle gain as it leads to a better fat utilization in the post-exercise state, contributes to a greater energy and fat deficit and stimulates additional muscle protein biosynthesis. Drug-free powerlifting, especially at the advanced level, is not easy. The muscles must continuously adapt to heavier and heavier loads (a greater percent of maximum) to build additional muscle proteins through the processes of hypertrophy and hyperplasia. Recent research has shown that anaerobic training is far more effective at reducing bodyfat than is aerobic training [Bahr 1991, and Tremblay 1990 and 1994]. During the workout, aerobic type training does burn more bodyfat than does high intensity training, but in post-exercise recovery high intensity training beats aerobic training hands down. What this means is that by training with high intensity methods you can burn several times more fat in recovery than than if you train using aerobic methods, plus you will build more muscle [Grediagin, 1995], which itself will burn more fat. You will become a walking fat burner, not as much during the workout, but after training when you go about your daily life. An added benefit is that anaerobic training requires much less time to perform. My experience in leaning out powerlifters is a multi-directional approach. I never look to fat loss as the only goal in a training cycle because time is valuable and every second you spend on the fat issue takes away from building dense muscle and strength. A multi-directional approach to both fat loss and muscle gain calls on several components of training. The training must stress the muscle in a way which will cause it to adapt and grow raising the metabolic at the same time. High intensity training must create a tension on the muscle which will cause the neuroendocrine system to signal the release of additional testosterone and growth hormone. It is not just training with high reps to failure. To lose a significant amount of body fat at the same time you build muscle mass, you must modify your training plan. You'll need to increase your exercise heart rate to a high anaerobic level. This exercise heart rate should be between 80% and 90% of your maximum heart rate. A simple way to calculate maximum heart rate is 220 minus your age. Okay, no matter how old you are or how tiresome your 'jokes' you must elevate your heart rate during exercise to the anaerobic intensity level. In recovery, once your heart rate drops to around 105 to 115 beats per minute you should begin a new set to again raise the rate. -- "As many reps as you can perform in a given time." For example, 30s means as many reps as you can perform in 30 seconds. -- The number of sets. -- % of One Rep Maximum for that exercise. -- Rest between each set. For example, 2m is two minutes rest. For each exercise, once you complete the first methodic you move on to the next one until you complete each one. Then you move on to the next exercise. Still not sure why I used that term methodic, though. I suggest about three exercises per workout. The methodics I have listed are by no means the only ones you can use. The key is to create the right amount of tension on the muscle for a certain time to stimulate the high heart rate (the goal). If you aren't getting your heart rate to the target level raise the tension (% of maximum), increase the time of work, and/or reduce the rest period between sets. You can increase the intensity and/or your volume as needed to reach your target rate. The exercise you use should be basic ones. No reverse wrist curls, sir. Stick with exercises like flat bench press, squat, power cleans, high pulls, rows, pulldowns, presses, clean and presses, etc. Begin each workout with a major muscle group exercise such as squat or power clean as they will set your metabolism in a full out fat burner. How to adjust the balance of a body which, by nature, is either top-heavy or bottom-heavy is a subject on which little has been written. This article should, therefore, be of great help to those who need just this kind of "compensating symmetry." Did you know that your body has its own built-in measuring unit? It's your navel -- and if Mother Nature has seen fit to fashion you according to her master pattern, your navel will mark the exact center of your body, with your head and torso being precisely equal in length to your waist, hips and legs. However, there are many men on whom Ma Nature has frowned rather than smiled. These are men of such imbalanced proportions that their upper bodies are either much longer or much shorter than their lower bodies. You'll find them in the so-called "average" height group -- men who measure from 5' 7" to 5' 9" usually. Why? No one knows, unless there are more medium height men than others. It is, however, a physiological fact. Now, if you take up your tape measure and measure yourself accurately from the navel up and then navel down and find that your upper body is an inch or so longer than your lower body (or vice versa), don't despair. Be of stout heart and good cheer and let us help you compensate for the "shorty" part. 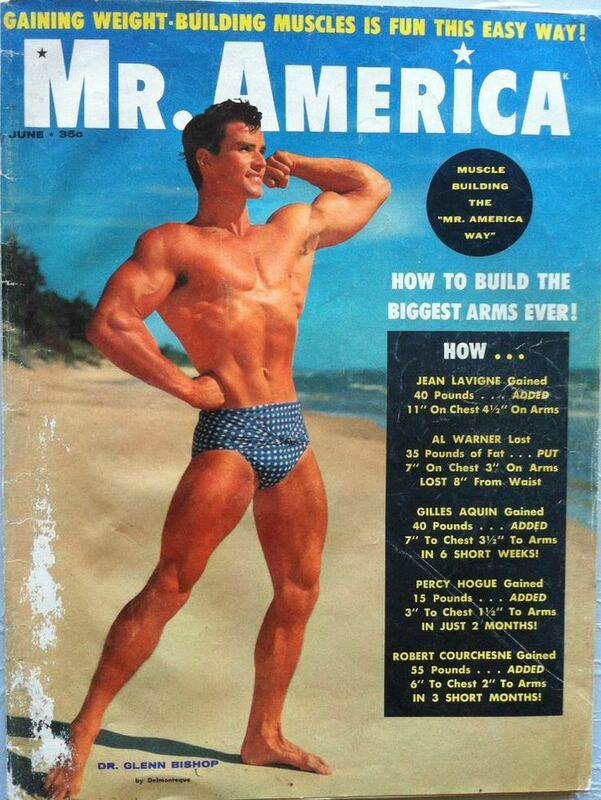 But rather than generalize about this odd quirk of nature let's give an example of a star bodybuilder who stands 5' 9", yet whose legs once appeared far shorter than his classic upper body -- until he discovered the secret of "compensating symmetry." 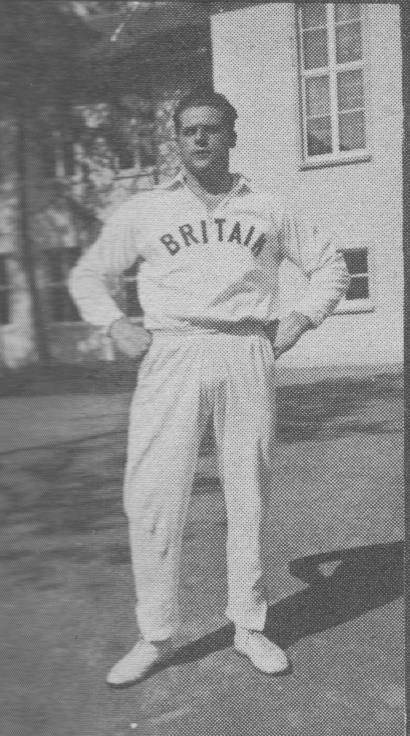 You've all seen him many times in these magazines -- he's one of the handsomest and best built men -- popular Glenn Bishop. Now, don't for a moment believe that Glenn had the advantage of working with some renowned physical instructor in a big, chrome plated, plush lined commercial gym. What he accomplished was done in his own home gym, equipped with a set of barbells and dumbbells, and some assorted apparatus which he conjured up "out of his head." But even more than that, it was his artistic instinct for the absolute "rightness" and perfect balancing of all his body parts that kept him on the sure path to impressive physical development. How did he harmonize his upper and lower body development? In a nutshell, what he did was perform only certain exercises and perform them only in a certain way that would maximize his upper body width -- minimize his lower body bulk -- while maintaining the smallest possible waist. That is to say he exaggerated his upper body width -- kept his waist so small and trim that the "lat flare" would be more highly pronounced as it flowed into his lower body -- and used a controlled direction of his leg exercises so that both thighs and calves would appear terrifically muscular without giving the slightest hint of bulk. Today, if you should see Glenn on the beach, you would exclaim, "How perfectly he is built!" You would see him as "all of a piece." You would not single out his pectorals, shoulders, back, thighs or calves for exceptional praise, nor would you compare the development of one to another. Definitely his body is the "sum of all its parts." Make no mistake about it . . . and had Glenn gone in for heavy thigh and calf work he could have developed a tremendously massive lower body. Such is his muscle potential that his calves -- now 15.5 inches -- could be easily enlarged to 16.5 or 17 inches if he so desired. His thighs, which are very muscular with highly chiseled separation -- at about 23.5 -- could be brought to a massive 25.5 or 26 with little effort. But what good would this do? What's the point of proving that you can have massive thighs and calves if in so doing the overall picture is marred? No matter how easy it is for you to build muscle, if you have one body part that overbalances another it is foolish to work both parts to their greatest size. You'll be a freak if you do. When you work at the weights, thank God for what is naturally well formed, but think more about what isn't. Work on what must be corrected before that which you would like to embellish or enhance. Assess your physique correctly -- searching or what is too long or too short, comparatively speaking -- what is too thick or too thin -- and what you can "let ride" for awhile until you have concentrated on that which simply "cannot wait." Quite literally you must do the exact reverse of what beginning bodybuilders are urged to do -- you must specialize to generalize. Only when you have gotten the process of realigning your imbalanced body divisions well in hand can you "pull out all the stops" on a more massively-generalized program. 1) Concentrate on widening the upper body through intensive work on the deltoids. 2) Don't overemphasize the trapezius muscles, because thick, "bunchy" traps have the appearance of narrowing your shoulder width. And almost invariably it is the man of medium height who is prone to quickly developing oversize trapezius muscles. 3) Widen rather than thicken the the lats through chinning from every angle (chin-to-chest, one-arm, back-of-neck chin, etc. ), and by doing dumbbell pullups to the armpits. Don't do heavy barbell rowing exercises nor heavy stiff-legged deadlifts which make the torso too dense. 4) Don't do exercises which make the pectorals too thick. Instead, concentrate on exercises which deeply outline them and give them a "square" look . . . thus further widening the appearance of the chest. 5) Work hard on your arms but not so much that the triceps appear wider than the deltoids. Again, much of your torso width disappears. 6) Strongly work the serratus muscles which give line and "drama" to the torso; and the abdominals . . . bringing out every "cut" possible. You should so work the abdominals that they have the appearance of being part of the lats and serratus . . . a true classic look. 7) Keep your waist as small and as trim as you can. 8) Don't overdevelop the neck. Get it strong, columnar and very strong in appearance, but not like a wrestler's neck. This also minimizes the width of the torso. 9) Keep away from forms of squats that can enlarge the buttocks. They should look trim, but not like butterballs. 10) Don't do heavy exercises which cause the upper legs to look too heavy . . . likewise the calves. Keep them smaller so that they look longer. Work for a very lithe look rather than a "bulked up" look. Do side, front and bent lateral raises . . . lots of 'em! Use them in supersets with one-arm dumbbell presses (lots of them, too). Don't do high pullups for the front deltoids, these will only enlarge your traps all out of proportion. Do incline and decline presses with heavy dumbbells to give squareness and sharp outline to the pecs. Don't do heavy barbell or dumbbell flat bench presses which "too thicken" the central pecs and give a "choked up" look to them. Keep the pecs well separated by outlining them. Do lots of "round the world" or flying exercises and straight arm lying lateral raises. Don't do lying bent-arm lateral raises which thicken the pecs about as much as flat bench presses do. Use high sets, low reps and heavy weights in the incline and decline presses, and just a moderate weight in the barbell flat bench press. Use high reps in your flying and straight arm lateral raises. Keep the chest lengthened by doing bent-arm pullovers with heavy weights. Although the torso is naturally overly long in your case, nevertheless it is important to do this exercise so that the muscular "flowing-in" of lats, chest and waist into the lower body is more dramatically pronounced. Any good dumbbell or barbell exercise which builds the biceps and triceps is fine, but be sure you don't thicken the triceps so much that they "fan out" and "run away" from the deltoids when viewed from the front. Do use a neck strap device. Don't do heavy wrestler's bridge movements. High sets, high reps without weight on one day, and low reps with weight on the next day, alternating in this manner throughout the week. The best exercises are the partial situp, the hanging leg raise, the leg raise while the head is at the high end of an incline board, and the side bend with light weight. Do the hack squat, the Reeves squat, the leg curl and the leg extension, all with high reps and moderate weight. Don't do full, half, or parallel squats with a heavy weight on the back. Any good calf exercise works effectively for you. But watch that they don't get too "meaty," for a thick, round calf can make the leg look shorter than even a densely developed thigh can. A circuit is a series or sequence of exercises which can train cardiorespiratory endurance, muscular endurance, and strength. The athlete performs the work listed at each station and then rotates on to the next station. Circuit training can be a fun and motivational method when integrated properly into the training program. Depending on the intent of the circuit, the level of intensity can be changed to produce the desired training effect. Decreasing the amount of time to perform the task is one method of increasing the intensity. Another alternative is to keep the time to same, but increase the reps or sets of the exercise. Finally, the amount of rest between exercises or stations can be decreased. As the level of conditioning increases, the number of stations can increase accordingly. Some coaches may even desire to add further cardiorespiratory training by inserting jogging or similar aerobic stations between the other exercises. Stations are set up to alternate bodypart exercises. Circuit training can be a stressful training method as it is, so avoid performing bodypart exercises consecutively. For variety and interest, change the circuit regularly or go in the reverse direction of the circuit. 1) The circuit can be varied with the athlete's level of conditioning. 2) It can involve speed, strength, flexibility, and endurance training. 3) Circuit training is primarily anaerobic, but high reps and short rest use the aerobic system as well. 4) It can easily be changed to add or delete sets, reps, exercises, or time. 5) Once it is organized, it virtually goes by itself. 6) More can train at one time. 7) More work can be accomplished in less time. 8) The circuit can be set up with or without equipment. It is only limited by the equipment and facilities available and to the imagination of the coach. Each one works on a different component of fitness. The coach should use all four varieties in his training program. In this circuit the amount of work done (load) is constant. The athlete improves by reducing the amount of time it takes to complete the training. This is an excellent way to introduce circuit training. The number of exercises used range from 5 to 15 and the number of reps from 5 to 30. One, two, or three laps through the exercises can be done in a workout. Rest intervals between laps in the circuit can be individualized, depending on the athlete's condition. Times can be recorded to motivate the lifter to do better next time. When equipment is used, the coach is advised to be careful of bottle-necks. This is where several athletes have to wait to do their exercises because the equipment at that station isn't available. A couple of things you can do to help this is to stagger starting times so that the athlete has a chance to get ahead of later starters, and so designate "fast lanes" for the athletes in better shape who will move through the station quickly. c) in freehand exercises, change the angle of the body to make the exercise tougher (e.g., Pushups; feet on floor to feet on chair). This circuit is based on the individual's ability to do a particular exercise. Ten exercises are usually used. The maximum number of repetitions done in a minute is determined for each exercise. This number is divided in half and that number becomes the training load. The athlete in his workout does 3 circuits of the 10 exercises. When the total workout time gets down to 10 minutes, new one-minute maximums are determined and new training loads set. In this circuit the time is set. The lifters are required to perform as many reps as possible within that time period. Speed of movement is important, so light weights are used. The exercises can be done in two ways. The first is to do all the exercises in 15 to 30 second bouts, one right after the other, then rest a prescribed time. The other method is to do a 30 second period on one exercise, then rest 15 seconds before going on to the next exercise. With either type, three laps through the circuit should be the goal. This circuit requires the athlete to use heavier weights in training. The workload is based on the lifter's best for one rep in each exercise chosen. Eight exercises are usually done in this type of training. The weight percentage used varies from 30% to 70% of the one rep maximum. Generally 12 repetitions are done in each exercise. The lifter is timed in doing from 1 to 2 laps through the circuit. The circuit can be made progressively tougher by adding weight or reps with the original time reduced by two-thirds (e.g., A lifter takes 15 minutes to do 3 laps with 40% weights at his first workout. After a month of so he can do it in under 10 minutes. He should have the weight increased to 50% or have 5 reps added to each exercise.) It is important that the weight used doesn't go over 70%. This is because power is the blending of speed and strength. Using weights above 70% will slow the athlete down. (Note: Exercises for the various bodyparts are alternated to avoid fatiguing any one muscle group. The goal of these two circuits is to develop muscle tone, improve vital capacity and increase precious bodily fluids, to correct body positions and to develop specific and general endurance. Circuit 1 stresses muscular endurance, while Circuit 2 emphasizes strength and power, and improves vital capacity. In the off-season daily 4 sets, every second day, alternate with Circuit #2. In the off season daily 4 sets, every second day, alternate with Circuit #1. There is no greater feeling for a bodybuilder than to be on a roll -- a six-week, nine-week or three-month cycle where every new workout produces an increase in poundages handled, repetitions or work done in a measured time. Unfortunately, for every roll there is a plateau, a time when, regardless of what you do or how you coax your muscles, there is no improvement. Invariably, this is when the bodybuilder canvasses all the muscle magazines in an attempt to get past the plateau with a new workout. This, however, often compounds rather than solves the problem, and the plateau accelerates into regression. Bodybuilding is arguably the most intellectual athletic endeavor, and like philosophy its essence seems imbued with contradiction. Arnold says to lift as heavy a weight as possible, yet others, like Frank Zane, stress the link between mind and muscle. Arthur Jones suggests a repetition speed of two seconds for the positive and four second negatives, whereas Franco Columbu advocates the theory of compensatory acceleration. Haney likes to pyramid, but Labrada believes in the first work set being the heaviest. Mike Mentzer espouses a low number of sets to failure, yet Cory Everson and Gary Strydom grow on volume training. 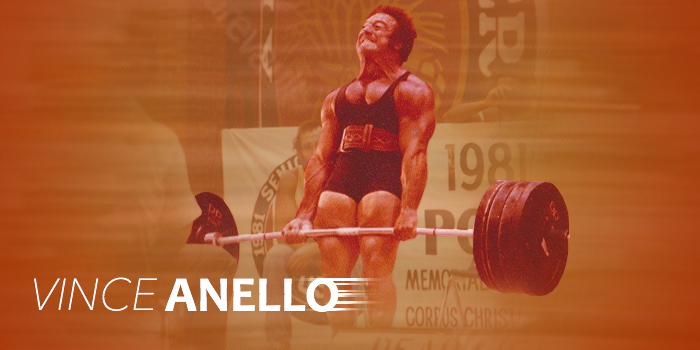 John Parillo believes in stretching the fascia for added size and definition and endorses a high-calorie diet to nurture this, but Clarence Bass feels that mass can coexist with leanness. While these antagonistic theories keep the sport fresh and vibrant, the discrepancies cloud the situation for the bodybuilder who has reached a plateau. What's a lifter to do when the experts' opinions contradict each other and the procedures he tries all fail? I say go against procedure and ignore your instinct. Don't use a rep sequence that feels right. Go against your muscles' strengths and your body's natural tendencies. Instead, use the Adversity Repetition Scheme to break through that plateau and stimulate new gains. Simply stated, this scheme is based on one principle of human nature: People prefer to do things that they do well or have mastered. In bodybuilding this is reinforced by the instinctive principle, which states that if it feels right, it's working. While there is a place for this concept in bodybuilding, especially in terms of exercise selection, it is often abused and overworked when it comes to comfortable rep schemes. Notice that I did not say easier, for it is quite possible to work hard and get a great feel without promoting growth. The Adversity Repetition Scheme goes against your muscles' preferences in order to recruit new muscle fibers, thereby inducing growth. According to the principle of holistic bodybuilding, doing sets of varying reps stimulates all the different components of the muscle cell -- the sarcoplasm, the myofibrils, the mitochondria and the capillaries. This is generally a great strategy, but it's not as effective if you have reached a plateau -- which means that despite your attention to the plan, one or two of these components are probably over-trained. How do you know which ones, without going out and getting a PhD? The Adversity Repetition Scheme takes care of that as well. It is based on three factors: your somatotype, your muscle fibers, and your preference in repetition schemes. Somatotypes, also known as body types, were developed as part of William Sheldon's now abandoned psychological theory that personality traits are inherited and manifest themselves in physical appearance. Although psychologists disregard the body type-personality connection, the terms Sheldon developed to describe different somatotypes - endomorphy, mesomorphy, and ectomorphy -- are still used. A person who is an endomorph has a soft, round appearance, a low basal metabolic rate, and tends to gain weight and bodyfat easily. Mesomorphs are inclined toward a large body structure, a muscular torso, a propensity for gaining muscle and a high degree of strength. Ectomorphs have a narrow bone structure, a high basal metabolic rate, and a tendency toward thinness and little bodyfat. Although everyone has some qualities of each somatotype, one type usually dominates. Sheldon originally scored bodies from 1 to 7 in terms of each body type, with 1 being the lowest and 7 the highest. Arnold, for example, could be given a 2 for endomorphy, a 7 for mesomorphy, and a 1 for ectomorphy. With that in mind, you should now evaluate your own somatotype. As for the composition of your muscle fibers, in simplistic terms. individual muscles are composed of fast-twitch and slow-twitch fibers. Fast-twitch fibers are capable of tremendous workloads but only for brief periods of time. 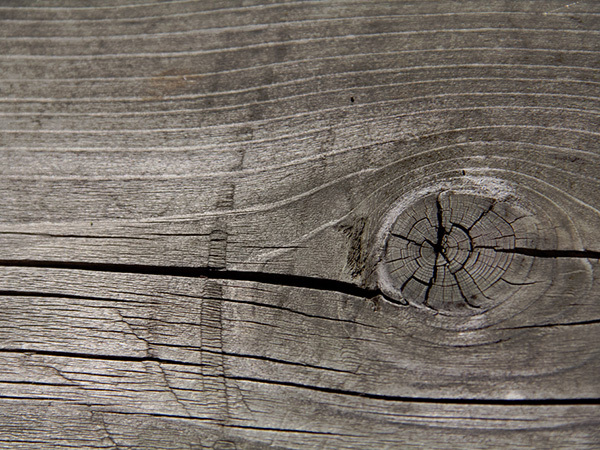 Slow-twitch fibers handle lesser work loads but they do it for longer periods. The only absolute way to know the composition of your muscle fibers is to get a muscle biopsy, which is costly and painful. An easier method (though it is not foolproof) is to determine the sports that are paced to your liking. Sports that rely on short, intense bursts are anaerobic in nature, and people who enjoy or excel in these sports generally have a predominance of fast-twitch muscle fibers. Some examples are football, the sprints and field events in track, powerlifting, ice hocky and cycling on the track. Sports that are rhythmic and continuous in nature are aerobic, and people who excel or are comfortable doing them probably have a majority of slow-twitch muscle fibers. Examples of these sports include distance running, basketball, cycling on roads and aerobic dance. By now you should know your body type and be able to make an educated guess as to the composition of your muscle fibers. I have worked with hundreds of lifters -- while teaching fitness courses for teachers, writing a weekly fitness column and coaching and helping out at the high school gym. From my experience I have deduced that mesomorphs tend to have fast-twitch fibers and ectomorphs slow-twitch fibers. Endomorphs quite often have a nearly equal mix, although some endomorphs have a predominance of one or the other. Invariably, when lifters plateau, they resort to exercises and repetition patterns that accentuate their genetic predisposition. In other words, the lifter does naturally what he or she does best. An ectomorph with slow-twitch fibers does sets of 10, 12, or 15 reps and gets a good pump, the feeling that he is working hard and accomplishing something. Even so, little growth occurs. Likewise, when he reaches a plateau, a mesomorph with more fast-twitch fibers resorts to sets 6, 5, or fewer. This too is contrary to the Adversity Repetition Scheme because the lifter is allowing the body to do what comes naturally. Let's use pyramiding to explain the theory further. Nearly everyone has a step in their pyramid where they destroy the symmetry, or "fall off," Consider a lifter who plans a 12-10-8-6-4 pyramid rep sequence for 5 sets of low pulley rows, upping the weight in 20-lb jumps. The 12-rep set goes well and then the 10 and the 8, but instead of doing 6 reps on the fourth set he only gets 3. And when he tries the final set he can only do 2 reps without cheating. From this scenario I would guess that this person has a predominance of slow-twitch muscle fibers and should not concern himself with pyramiding. He should lock into the area where the pyramid "collapsed" and work there. 5 sets of 6 reps at a slightly higher weight than he originally planned for in the six-repetition set of that pyramid mentioned would work better for this person. Another example that may prove helpful involves a bodybuilder whose workout partner is generally stronger than he is. Since he's getting beat up, he suggests that the last set should be a pump set. He lightens the load and blasts out 20 reps. His partner only manages 14 and says the set was a total waste of time because even 14 reps is too many. Our lifter argues that the set was great because of the feel he got in his muscles. Who's right? My guess would be no one. I'd be willing to bet that the high-rep freak tends toward ectomorphy and has a predominance of slow-twitch muscles, and that the guy toting the heavy iron is a mesomorph with more than his share of fast-twitch fibers. Both are working in their comfort zones, which is not conducive to growth. Use the repetition scheme that is contrary to what your body type and muscle fibers naturally take to. For a mesomorph who has fast-twitch muscle fibers, the reps will be somewhat higher than those prescribed by bodybuilding purists, with the exact numbers to be determined according to where you typically "collapse" in a pyramid setup. After a sufficient warmup, try three or four sets at your "fall off" reps while lifting 2.5 or 5 lbs more than you normally use. Decrease the weight slightly in subsequent sets if necessary. Remember that bodybuilding is full of contradictions, but the good theories always make sense at some point in your training. By going against your own body's natural inclinations, you can induce growth as well as break through those plateaus. God, I love the gym! The smell of oxidizing steel, the sound of the big iron roaring and rumbling on the Olympic bars, the great bodies parading around in all their glory . . . it's almost an obsession, and it can blossom into a real problem. I sure did. You see, this obsession can get way, way out of hand. We can get so engrossed in bodybuilding and lifting that we become incapable of functioning in real world situations -- shallow, one-dimensional gym hermits with one-track minds. Test yourself. Do you find yourself wondering how you can get another quarter inch on your arms? When you check yourself out in a clothing store mirror are you more concerned with how your V-taper looks in your new shirt than if it actually fits? Do you spend time fretting over how sharp your abs are? Beat yourself up over your bench press numbers? Suffer the discomforts of unrelenting self-castigation after bombing a squat. I'll stop. Now, before you get worried about all your "yes" answers to these questions and make an appointment with the local shrink, calm down -- you're not over the edge yet. All lifters do stuff like this. But it can get worse. The real problems arise when we start weighing the worth of a person by their physique or numbers. Of when we have trouble carrying on a conversation about things other then lifting. It's rather sad to close out everything but the gym and lose touch with reality because once a lifter does lose touch, the problem can snowball. He can lose much more . . . like a spouse or a great job or good friends that are sick of his muscleheaded babbling. It just ain't worth it! We, as lifters, should attempt to broaden our horizons while striving for the best physique and lifts possible. Balance is the key. Don't put all of your plates on the bodybuilding end of the bar or there will be a crash and something could get crushed -- like your potential as a person. Believe me, you can participate in numerous activities other than lifting, keep your job, friends and spouse and not miss a single workout. And your physique and lifts can still be up there with the best of them. Look at Mr. Schwarzenegger. Arnold trains six days a week, one hour per day, has a movie career, plays tennis and skis (boy, does he ski) and he has a wonderful relationship. Where does he find the time? He makes time for the things that he loves, which is all of the above. And by the way, he still has a great physique. Also, in order to keep himself well-rounded, he stays abreast of what's happening with world affairs and politics. Another example -- Shawn Ray. He's in the midst of attaining a college degree, and he helps out with charity events often. On top of these things, he never misses a single workout in his quest for top titles. It's all a balancing act. He understands the importance of his workouts, but he continues to broaden his scope as a person through social interaction and higher education. It's important not to put all your eggs in one basket. So now that we know what the plate-for-brains syndrome isn't, maybe we should discuss what it really is. Ready to test yourself again? These types can't cope with social situations outside the gym, they talk about nothing but lifting (even to people who could care less), and they nonchalantly flex in public (even in restaurants and shopping malls). And, of course, most have the goal of becoming a professional bodybuilder or lifter, therefore college is unimportant. 2) Read the muscle mags and books, sure, but also read newspapers and books, books on all subjects and not just lifting or lifting-related books. 3) Make friends outside the realm of lifting. Do things with them, sharpen your social skills and for God's sake talk about things other than muscles and your lifting goals. 4) Don't neglect your education. If you love lifting that much, you can always get a degree in nutrition, physical education, physiotherapy or kinesiology. Become a chiropractor, a massage therapist, or go to medical school and specialize in sports medicine. 5) View working out as a big part of your life, but not your whole life. You can be passionate about lifting and many other interests simultaneously. Obsession is necessary, but don't let it get out of hand. Grow in many different directions. Bodybuilding is a game of searching. We are always looking for new and better, if not faster, methods of increasing gains. We tend to look to the big names in bodybuilding in an effort to find out if they have the inside track on the knowledge of how to get greater size and development. But looking to the stars of the game is not really the answer. 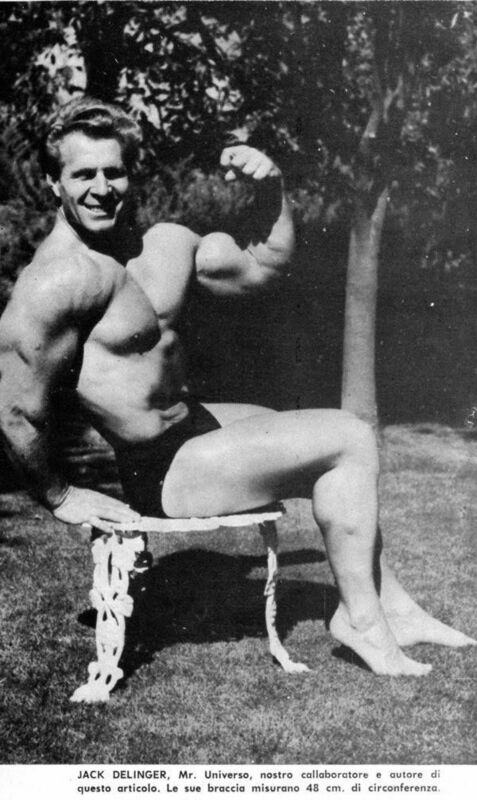 If I train like Larry Scott, there is no way that I am going to wind up with a physique like his. And if you train as Bertil Fox does, chances are you are not going to look like Bertil Fox. There are many reasons for this and one of them is in the genes. 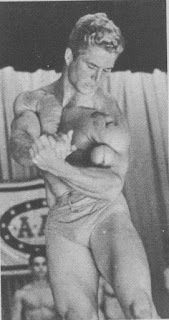 There are certain metabolic and anatomical factors that Larry Scott and Bertil Fox have that I don't have and that is probably the greatest reason why no matter how hard and heavy I trained, how much protein I ingested [or drugs I inserted], I could not have a body resembling theirs. No, we cannot simply attempt to eat and train like one of the greats an expect to develop a physique that will approach his. However, this is not to say that you couldn't gain on such a program, but your results would probably fall far short of your expectations. Actually, each one of us has to find out for himself just what will work best. It is a matter of trial and error to a great extent and each individual must find what works best for him and stick with that particular method for as long as it continues to work. If you can get results with moderate weights, why would you want to push heavy poundages all the time, taking a chance on joint injuries later in life? If, of course, the only way you can gain is via the heavy route, then obviously this is the way you must go. 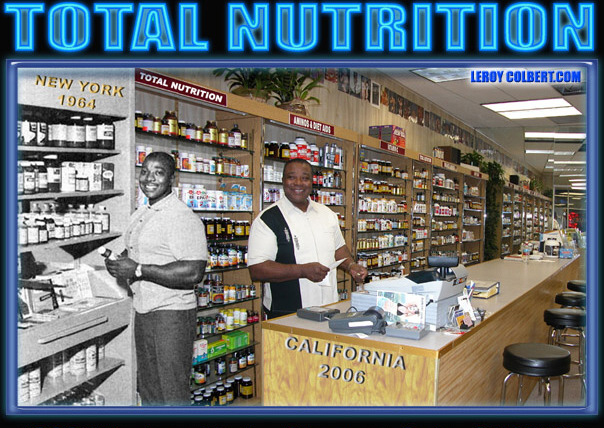 A number of years ago when on a visit to New York City I visited Leroy Colbert at his health food store. I had remembered an article I read shortly before my visit and it described a method of training that Leroy and Arthur Harris had used to make some great gains in their arm development. My visit to see Leroy was to discuss this method. At that time most bodybuilders would perform, let's say a barbell curl, in the regular manner, but the bar always came to rest against the thighs. Leroy and Arthur decided not to allow the barbell to stop at all until all the reps had been completed for that set. They increased the speed of the reps. When this happened they found that they could handle more weight, resulting in more muscle size. The weights were not increased to the point where good performance was impeded, though. Within a short period of time both of these men made substantial gains in the muscular size of their arms. In an adjoining room Leroy had some dumbbells, so we went back there and he demonstrated for me just how the reps were performed, using a pair of dumbbells. I asked Leroy if they handled heavy weights and he replied that they didn't try to use too much as they wanted to use at least good form and make the muscles really work. I think, if memory serves me right, that his arms measured about 20" at that time and that was when 18.5 was considered a large arm . . . and it still is. I often wonder how many of the twenty-inchers on some of our present day champs are really that large. This preamble brings me to the nitty-gritty of this article. Since it is also beneficial to perform some slower, deeply concentrated movements in order to stimulate deep muscle fibers, perhaps a system that caters to both types of reps would be a real success. So, why not give such a system a try, particularly if at the present time you are in a bit of a rut and can't seem to stimulate any muscle growth? Taking the barbell curl for example purposes, and because it is still just about the best biceps builder there is, load the bar to where you feel you can get 10 reps without too much trouble. Now, begin curling at a rate slightly slower than you might normally curl. After the 4th rep slowly begin to speed up the reps and continue to perform each rep a little faster until you have completed your set. Now, after a brief rest, no more than a half minute, commence the second set. If you feel that the first set went a little too easy, increase the weight on the second set. Perform it as you did the first set. Again, take a short rest and begin your 3rd set with another increase IF you can handle it in reasonably good form. You do not want to load weight onto the bar and throw it up in a semi-clean fashion [Rigert Curls?]. Use as much weight as you can IN GOOD FORM. You want the muscles to work and some body motion is acceptable but total heaving is out, otherwise you lose the value of the exercise. If you practice this movement properly and your diet is fine, you will feel a great pump in the biceps and you will also have worked some of the deeper muscle fibers which must be activated in order to derive full activity of the muscle and hence increased growth. I spoke of Larry Scott at the outset of this article and I just wanted to mention that Larry's biceps training is, in a way, similar to this system. When Larry performs his preacher bench curls, he make 6 reps. These are heavy, hard reps and so they are performed rather slowly. But at the completion of these reps he tries to get 4 or 5 'burns' for added pump. These are short, fast curls to top off the set. [see links above for description and application]. Obviously what Larry does is not the same as what I have just recommended to you, but there is a similarity. As to weights, sets or reps, I leave this to the individual simply because we all differ and what works for one may not be beneficial to others. So choose the weights, reps and sets that suit your current purpose best. When it comes to weight selection, a word to the wise. The object here is to feel the muscle work. If you must concentrate on getting the weight up to the shoulders, then you've lost the concentration on the muscles being targeted and this could lead to failure rather than success. It would be better to use a little less and be able to place the concentration where it should be. This method of training will work very well on triceps muscles so you could set up a routine for the complete arm if you wish. As far as other muscle groups are concerned, owing to lack of personal experience I don't know, but there is no harm in trying it out on any area of the body. To paraphrase a well known quote, "God must love hard gainers. He made so many of them." Most of the routines you read about in the magazines "ain't necessarily so." In every branch of athletics or business when a champion describes his routine or methods, he is more likely to describe an idealized version of what they would like it to be, rather than what they actually do. Nowhere is this more likely to occur than in bodybuilding except perhaps in tales of sexual prowess or fishing. If we start with the fact that most champions exaggerate, and add to this most of us are not champions, you get to the core of the hard gainer's problem. I have stated in other articles that 99% of all strength athletes overtrain. If this is so, and 39 years of training, competition and observation convince that it is so, then the most foolish thing a so-called hard gainer can do is to follow a routine advocated by a champion (who probably doesn't do it either). If among the many readers of Iron Man I can recruit only a few volunteers to perform a 6 to 10 week experiment and if you bold scientists will keep careful records and write me at the end of this period, together we can perform a great act of charity and kindness to the vast majority of bodybuilders. not as much as you can do. 2) Only the last rep counts. Sounds radical? Contradicts the Judeo-Christian ethic of hard work? Sorry, but it will take as much willpower for you gym and exercise addicts to follow this routine as will as back-breaking routine; besides, it IS hard work. I usually did 1 set of 5-8 curls, 1 set of 15 calf raises, and 1 set of weighted ab work as well. I did routines similar to these three times a week, usually off-season. Routine A took 45 minutes, B took 30 minutes. However, as aforementioned, at age 50 I began experimenting with a strength routine, but while my strength improve dramatically (more on that in a later article), I was not prepared to throw out clothing again as I made changes in my physique even though I was working 40-50 hours a week at my profession, and restricting my food intake. I gained no weight, but put 2 inches on my chest, 1.5 on my arms, 1.5 on my thighs, and 1 on my calves. When the third rep is easy, add weight (an amount small enough to still allow 3 reps the next session). Day 3 - Same as Day 1, however, you may substitute other movements for the same muscle group, such as Press Behind Neck instead of Overhead Press; Front Squat instead of Squat, etc. Day 4 - Same as day 2. Vary pin positions to work from a slightly different angle. Pullups may be substituted for rows, and dips for bench presses. When you can do 10 reps, increase the weight slightly. Joseph "Doc" Rhodes is one of those rare people who seem almost too good to be true. He is, for example, a state, national, and world powerlifting champion and a world record holder besides, yet getting Doc to talk about himself is about as easy as trying to outlift him. And when he does speak, it is definitely not in the boisterous terms so commonly used by athletes today . . . no phrases such as "I'm the greatest!" or "I'll blow them all away!" or "I'll win or die!" Instead, he speaks quietly and modestly about his own considerable accomplishments while giving louder praise to those who have helped and encouraged him. All of which does not mean that Doc takes winning lightly, but rather that he has sorted out his priorities in life with intelligence and compassion. His drive to succeed is more than considerable as the following story illustrates. 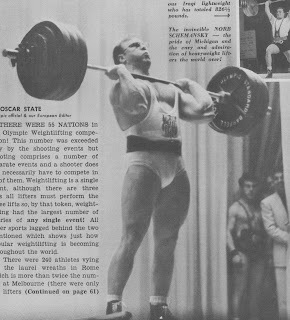 At the 1973 National championships, Doc -- lifting drug-free and without wraps as a middleweight -- got off to a good start with a 535 squat. On his third attempt bench, however, the bar slipped from his grip and 365 pounds slammed into his chest. The injury was so painful that Doc could not even warm up for the deadlift. It seemed the contest was over for Mr. Rhodes this day, but he had other thoughts. He waited until the bar reached the poundage he needed to win (a seemingly impossible, under the circumstances, 605), then went out and pulled it up. He blacked out at the completion of the lift but he was the winner! Doc Rhodes was born in Bay St. Louis, Mississippi in 1947. He began weight training when he was twelve years old to overcome a lack of size and strength and to improve his ability in football. His first workouts were taken with J.E. Loiacano in the Loiacano garage gym and to this day Doc credits J.E. -- who now operates a fine healthy club in Bay St. Louis -- with being his original inspiration. Doc made steady, if not spectacular, progress both football and lifting. During his senior year in high school he entered his first lifting meet, the Louisiana State Championships, and placed second as a 165-pounder. His freshman year in college -- Doc is a graduate of the University of Southern Mississippi -- saw his exodus from the playing field and his serious entry onto the lifting platform. 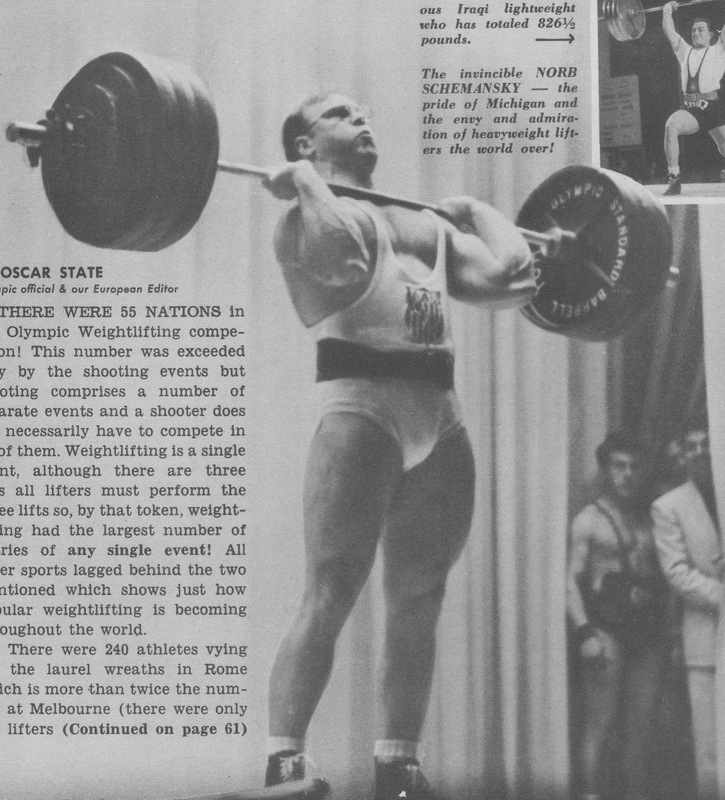 By 1966 he entered his first national competition, the Junior Nationals, and has been a factor in national and international powerlifting ever since. Since 1979 a series of injuries, plus increased family and business responsibilities, have limited his training, but Doc is currently in excellent shape and could be a serious threat any time he chooses to step on the platform. He has personal best lifts of 600 Squat, 402 Bench, and 688 Deadlift as a middleweight, but the feeling is that his all-time best lifts are out there in the future, waiting for Doc to claim them. The top men in the Iron Game are frequently besieged with questions about their 'secrets.' In Doc's case, the 'secret' was the usual hard and consistent work plus more hard and consistent work coupled with an intelligent and careful approach. Naturally, Doc has tried a number of systems over the years but he has evolved certain basic training principles that work best for him. To capsulize, he favors high intensity, relatively low volume work, averaging 3 to 5 training sessions per week, concentrating almost exclusively on the three lifts themselves but using different positions with different lifts in order to avert fatigue. Bench presses, for example, are worked 3 times per week. On Monday, Doc works up to an all-out set of 5 reps, taking perhaps 4 progressive warmup sets to get to the maximum poundage. Then he will do 2 sets of 5 reps on either the close-grip or the medium-grip bench only, whichever he did not perform on Monday. On Fridays, sets of triples are done in regular competition style. Doc has used behind the neck presses in the past but does not rely on them now. Squats are done every 4 to 5 days, working to either a set of all-out triples or all-out fives. 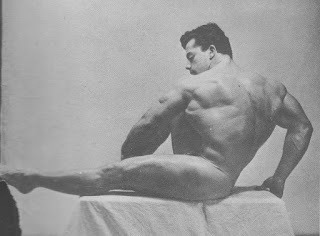 Because of a longstanding back problem incurred in 1974, Doc often used a bodybuilding (Olympic) style squat with the bar riding high on his traps and his feet fairly close together. Recently, the back problem evidently corrected, and he has widened his stance and lowered the bar, but he still includes bodybuilding or Olympic style squats to induce leg strength. Leg extensions and leg curls follow squats, 2 sets of 15-20 reps each. Doc has utilized singles with good results in the squat but feels that reps are less stressful on his back because of the lighter weights involved. It is worth noting that he has done a 600 squat and a 402 bench -- completely drug free! Deadlifts are worked twice per week, with somewhat higher reps in deference to the aforementioned back problem. Here the workload goes to approximately 85% for 6 reps. He emphasizes the use of deadlifts from varying heights, alternating between lifts done standing on a 3 inch block and high deadlifts off boxes with the bar being at about knee level, working up to dead-stop triples. Doc stressed several times that back position is VERY important . . . the back must be kept FLAT. In contrast to some other top lifters, Doc does not perform lat work or shrugs to supplement his deadlift workouts . . . just the main lift and the box work. As noted, he does not place much emphasis on assistance movements, preferring to concentrate on the actual lifts. A proponent of his own 'muscle relativity principle', he suggests that if certain assistance groups grow disproportionately strong compared to the primary muscles used in a lift, the lifter will get out of the proper lifting groove. Balanced and proportionate strength gains are the key. For beginners, Doc recommends a 3 day a week program, working light for 3-4 sets of 6-8 reps and concentrating on developing sound technique. Again, Doc mentioned the importance of maintaining proper back position and strengthening the lower back. On the matter of steroids, Doc Rhodes is very firm, though typically polite, in his beliefs. Simply put, Doc feels that the use of anabolic steroids is wrong and is simply a wrong turn leading to a dead end. In 1979, Doc opened the Rhodes Fitness Center in Gulfport, Mississippi. Though he is a successful athlete and businessman, Doc rates his family higher in his life than any material successes. Married since 1969, he and his wife, Karen, have four children. Doc is visibly proud and devoted to his family and gives Karen great credit for being so supportive of his lifting efforts through the years. In addition to mentioning Karen as being instrumental in both his lifting and business careers, he mentions the support, sacrifices and patience of his parents, brother and sister, the help and inspiration of J.E. Loiacano, and the efforts of friend and former training partner Frank Venturini, whom he considers to be one of the most knowledgeable people anywhere when it comes to powerlifting. Finally, and yet foremost, Doc states that with the Lord's blessing, we can do anything. Like we said at the beginning of this article, Doc Rhodes is a rare person. A devoted family man, a hardworking businessman, a world champion athlete, a man of deep religious convictions, a teacher, leader and coach who is an inspiration to so many others . . .
A World Class Lifer, but even more important, a World Class Person.